Home india What makes the Ganges not so sacred in eyes of an average Indian? 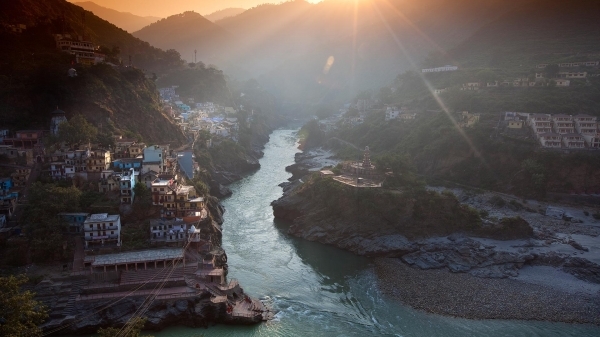 What makes the Ganges not so sacred in eyes of an average Indian? The book “Slowly Down the Ganges”(1966) by Eric Newby states the translations for 108 of the sacred Sanskrit names for the river Ganges , among them “eternally pure” and “a light amid the darkness of ignorance” highlights that state the religious importance of this river. Legend has it that in the quest of protecting the Earth from Ganga’s destructive power, Lord Shiva released the streams of water gently through his hair when the cosmic water fell on the Earth. One Sanskrit verse calls the river the “sublime wine of immortality”. Ganges is the most prominent river as per the Hindu religion and millions of Hindus believe in the purity of this river. In Hinduism, the river Ganges is personified as the goddess Gaṅgā and is considered highly sacred. She is worshiped by Hindus and there is a belief that every person that bathes in this holy river gets rid of his/her sins. It leads to Moksha (liberation from the cycle of life and death). Ganges is the purest form of water on Earth and for centuries people have been visiting the holy towns of Haridwar, Rishikesh to take a dip into this pure flowing water. It is mentioned in the Vedas and the Puranas that once King Sakara of Ayodhya in his quest to become the most powerful men on earth performed a horse sacrifice which is considered to be the most refined Vedic fire sacrifice. In this sacrifice a horse was set free to roam around the Earth and if it returned home unharmed, the king shall consider himself the Lord of all kingdoms that it had wandered after sacrificing the horse. There was none that would stand up against the wise and valiant ruler but Lord Indra grew jealous of Sakara and he hid the horse away. But Sakara’s son was able to find the horse underground in a place where Saint Kapila was meditating. The saint was disturbed by the entry of the prince and turned him to ashes with his glare. Years later Bhagiratha, the grandson of Sakara decided to rescue the spirits of the incinerated beings so that they may find peace. The only way was by bringing the holy river Ganga down to Earth to purify their ashes. To do so Bhagiratha travelled up to Gangotri and meditated there for millennia, until Goddess Ganga finally consented to come to Earth. To safeguard the Earth from the fierce force of her fall, Goddess Ganga came through the locks of Shiva’s hair and were then turned into the myriad rivers of Garhwal and Kumaon. It is believed that she touched the ground at Gangotri and henceforth Bhagiratha led her on Until she flowed over the ashes of his ancestor’s. This is why the stream of Ganges that flows from Gangotri is known as Bhagirathi and is considered as the true source of Ganga. The prigin and incarnation is sacred and this is the reason why ever since then the ashes of the Hindu beings are immersed in the Ganges after death. It is believed to be the beginning of a peaceful journey of the dead into the other world. However an average Indian does not feel so. An average Indian belongs to the lower middle class or the middle class and Ganges was an important source of water for many. But with the rise in pollution in the Ganges it became difficult for these families to access this life threatening water. Beyond the sacred beliefs the humans are regularly polluting their own source of water. Men with tractors and bullock carts are mining sand near the Ganges for construction, while dhobi-wallahs (washermen) wash their dirty clothes by the shores of the river. Around 32,000 corpses are cremated in Varanasi each year, which means that around 220 tons of half burnt flesh is immersed in the Ganges. The urban Indians that come to pay homage end up defecating in the river leading to rise in the faecal bacteria. As per the reports by the CPBC, out of the sewage produced along the main stream of the Ganges only a tenth of it is treated. It is due to this that those who cannot afford high-tech water filters suffer from severe diseases. 300,000 Indian children die each year from diarrhea. Most of them belong to the Ganges basins. In Moradabad which has a population of around 1 million, there are no sewage treatment plants and there are paper mills, sugar plants, brass foundries and plastics factories nearby that spill waste into the Ram Ganga and its tributaries. Thus the sandy banks and the riverbed are scattered with apocalyptic scene of filth, garbage, dead dogs, plastic bags, drains, spewing pink dye and pigs rootling through the dirt. How can anyone feel sacredness in this filth and dirt? Those who haven’t visited the Ganges believe it to be sacred but those who live by its shores are well aware of the real picture of this holy river.